I DON'T want the entries to show in my blog post. I want a button only! While this seems strange, you can do it easily! Default caption of InLinkz button. On the code dialog, there are two options for picking a code. The bottom one, is a direct link which points to the linkup. 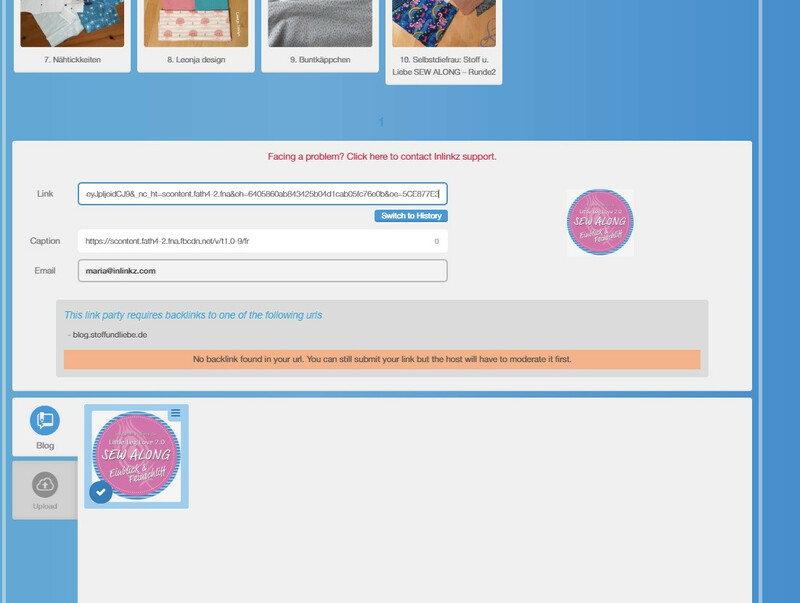 Use this unique link to make a button out of anything you wish! You can use it on images, and/or text! Why I get the message that the "Link Party Not Found"? 1. Let us know the version of the browser and the OS you are using. 2. Send us a screenshot of the "console" tab of the development console of the browser (it comes up with F12). How can I change the display email when I add a link to a party? 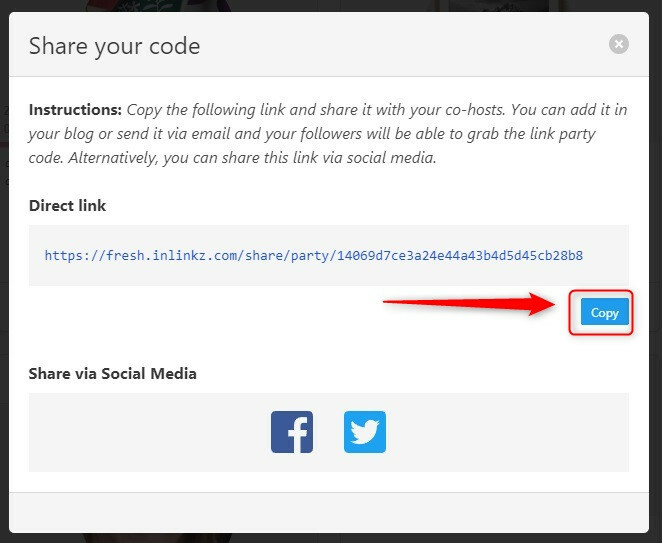 The email address that is displayed when you add a link to a party is the email you used to sign in to InLinkz. 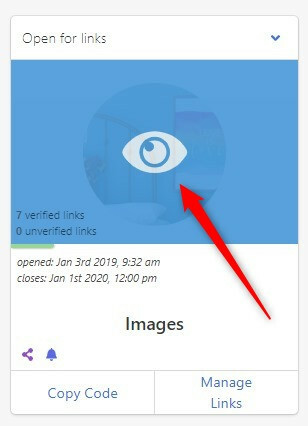 You can edit a link's information by hovering over the thumbnail of the submitted link. Make sure you are logged in when viewing the linkup on your blog. 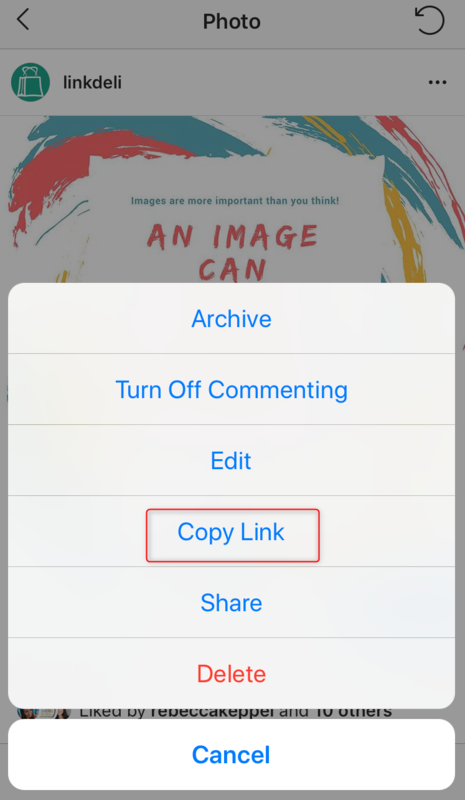 You can add or remove links, no matter if the party is open or closed. How can I be notified when a new linkup of a specific host is open? 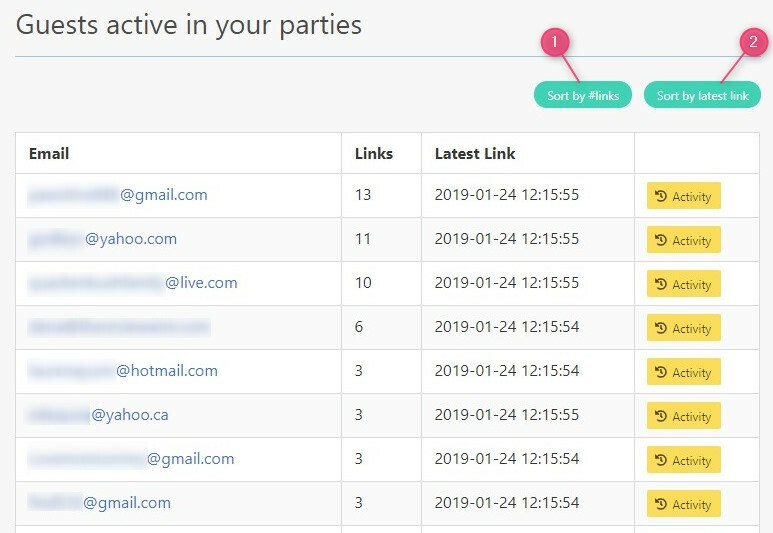 Once you have linked up to a party, there is an option to "Follow" the host so as to be notified when a new linkup from this host is open. 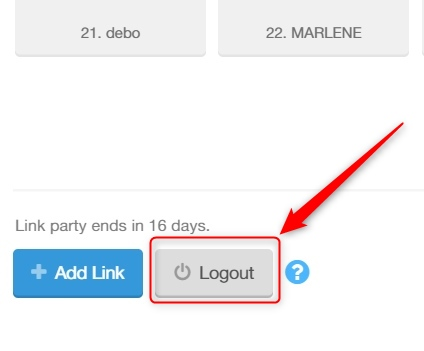 This will allow the host to notify you when the party is ready to accept entries by sending you out an email. How to block an entrant? 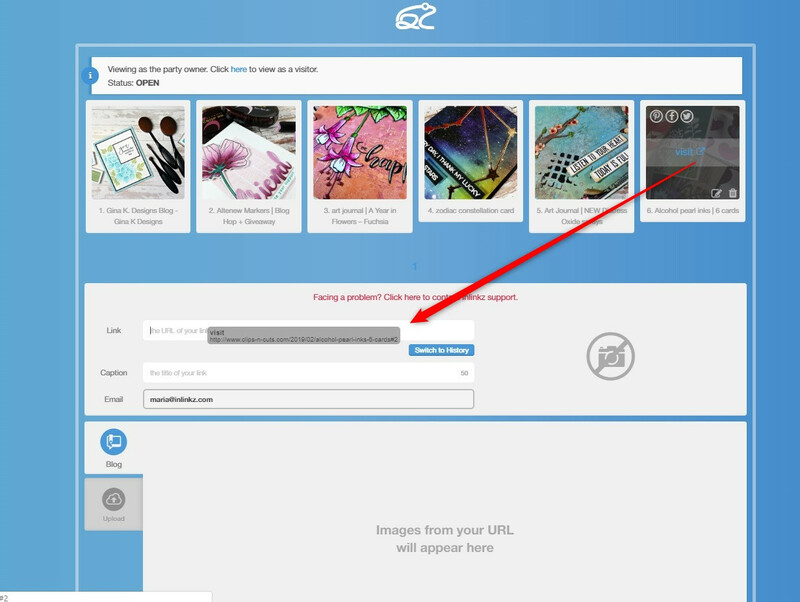 To block an entrant, simply go to "Manage Links"
This will block all coming links that have the "art.com" url or any direct page coming from this domain in the above example. Blocking any email does not make sense as people can have many emails (or temporary ones) but they always need to enter their own URL. How to change the image of a link? 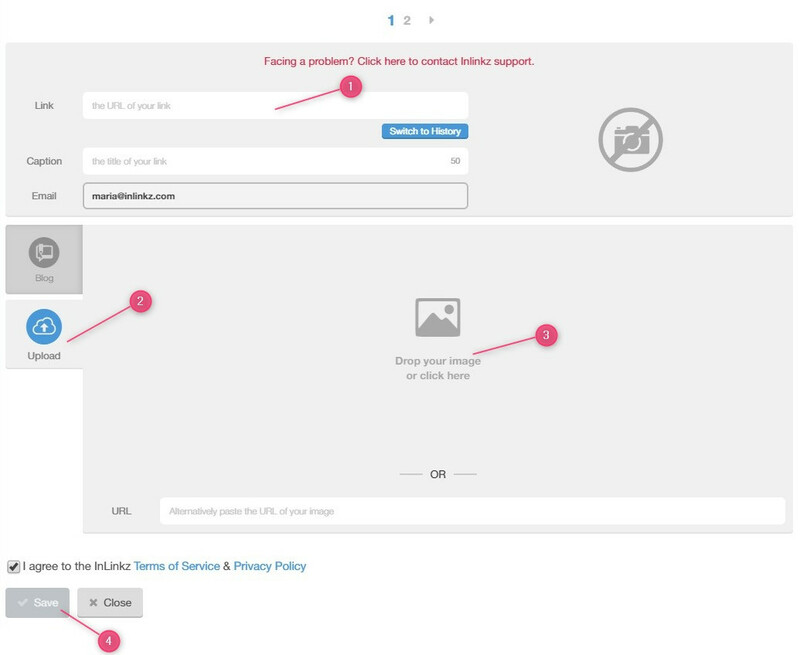 To change the image of a link, you will need to remove and add the link from scratch. 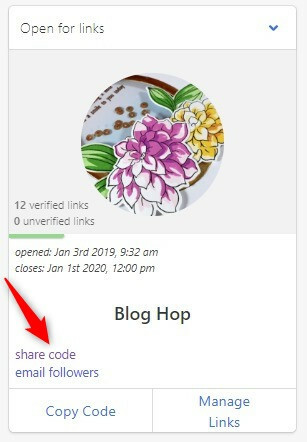 An easy way to do this though, would be to go to "Add link" and just drag the link to be deleted on the URL bar as seen below, and then, simply delete the old one. 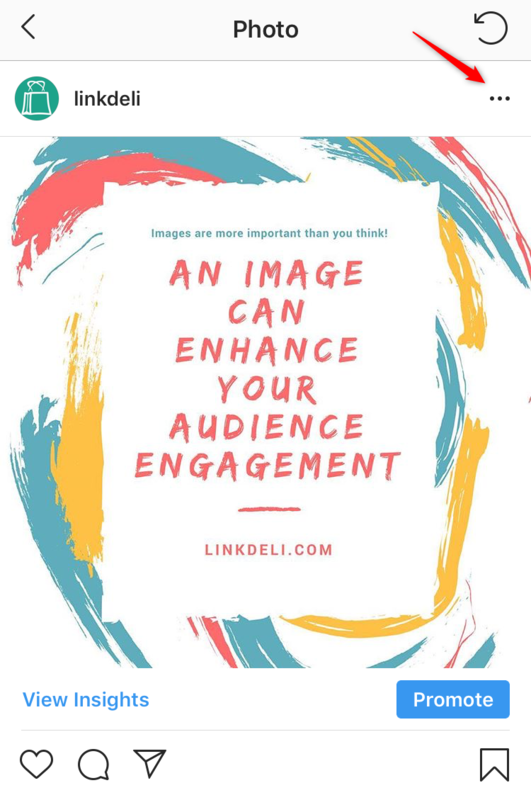 How to crop a link thumbnail image? 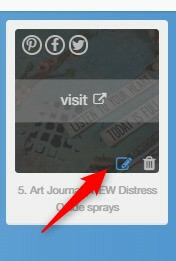 I can see some entries in my LinkUp that are not there when I go to my dashboard. What are these? Free accounts are ad-supported and the links you see are ads. These keep the service free and you cannot remove them. If you upgrade your account, the ads are instantly removed. When your account expires or you fall back to the free plan, the ads are re-added to your LinkUps. Please, clear your browser cache (http://www.wikihow.com/Clear-Your-Browser's-Cache) or try to use another browser. ​The issue is due to chrome's cookie storage space and is only affecting your own browser. 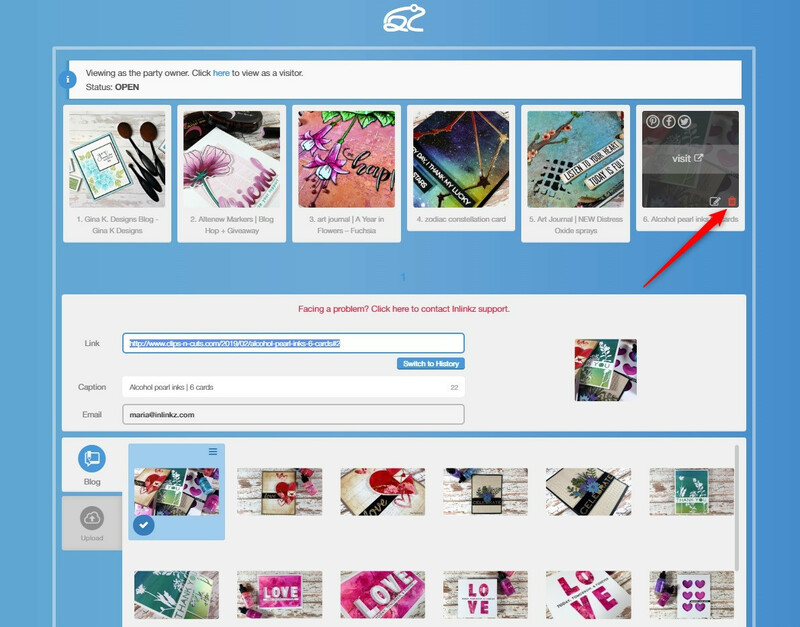 Why the thumbnails of my link party are not showing up in my blog post? 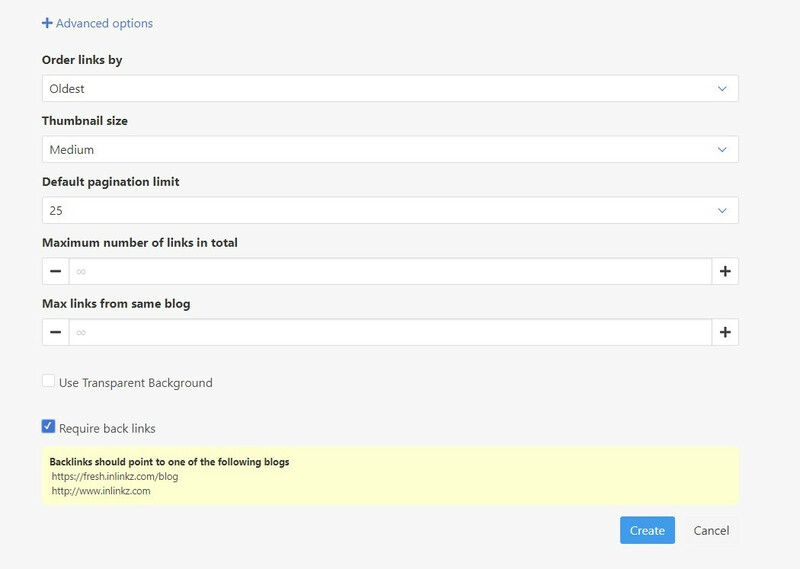 If a blog hosted on wordpress.com, then no widget is allowed to be displayed inside the posts. 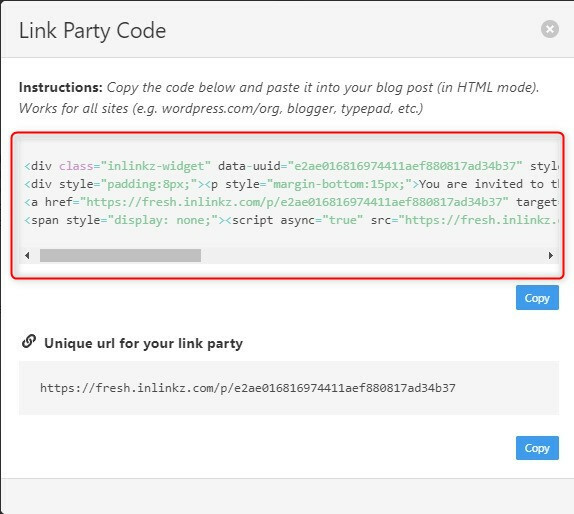 The only option to run a link party to wordpress.com sites is to add a button which, when readers click on it, takes them to an external page where the linkup is hosted. 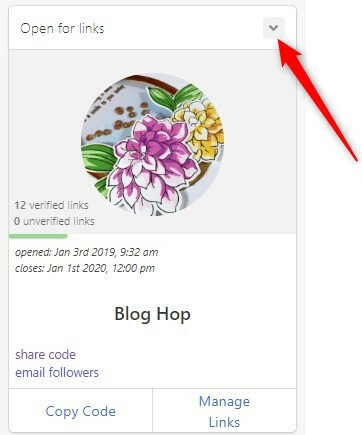 If a blog's installation is on a self-hosted wordpress.org platform, blogger or typepad, the widget will display the linkup inside the blog posts, if the code placed correctly. If possible, paste it to your blog while in HTML editing mode and do not switch to preview. Just commit your changes. 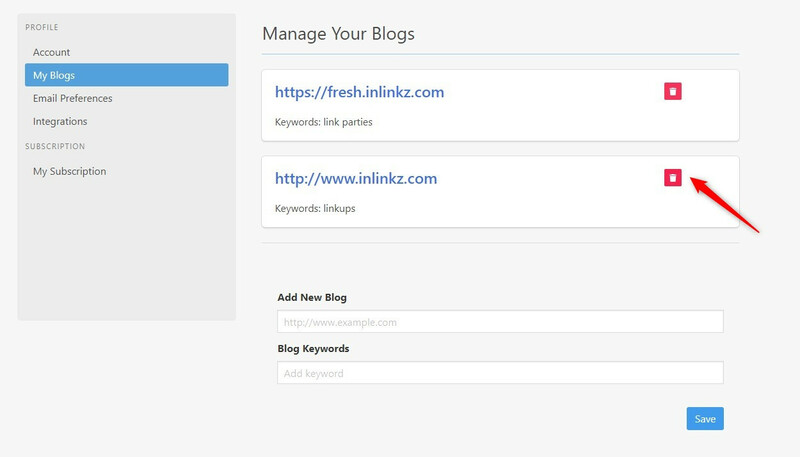 How to change the blog URL I have associated with Inlinkz? 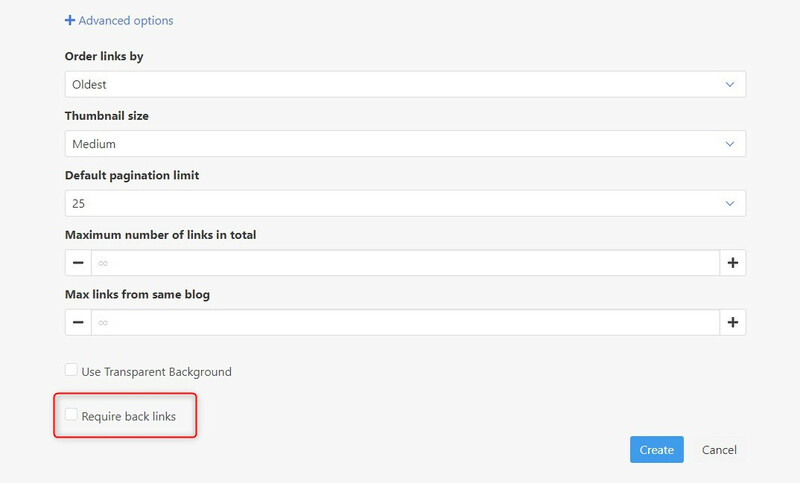 To change the blog URL you have associated with Inlinkz, go to your Settings (1) and from the Profile list on the left, select My Blogs (2). Add a new blog URL (3) as well as a few related keywords (4). As soon as you add the new URL, the delete option will be displayed. Click on the reb bin on the right to delete the URL you need to be removed. 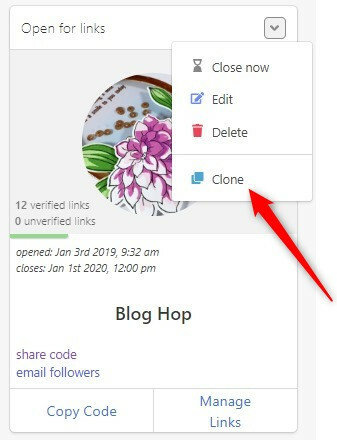 If you have tied the URL of a specific blogpost and not the generic URL of your blog and you need to replace it, add first a "dummy" URL (for example "www.example.com") so as the system will let you delete the old blogspost URL and then add the generic blog URL. 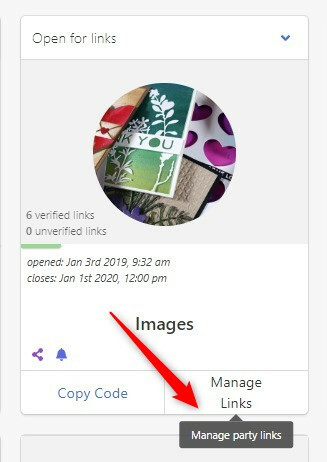 How to upload an image to a link party without adding a URL? How to get notified of new entries and links needed moderation? 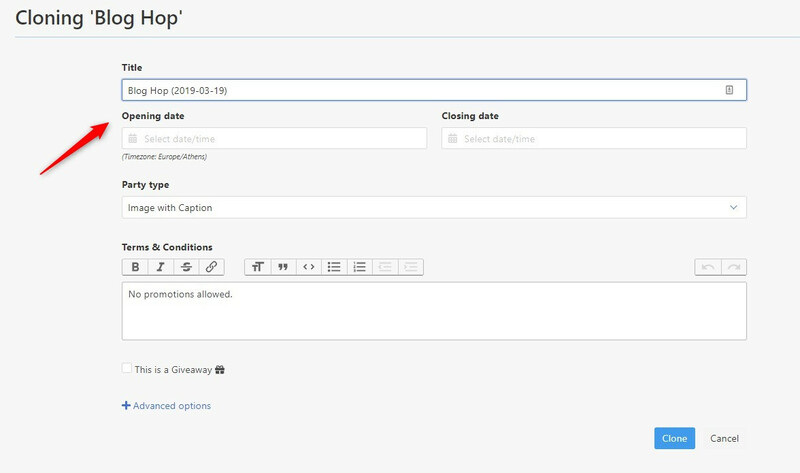 You can set up the system to send you hourly, daily or weekly notifications. The notification option is disabled by default. 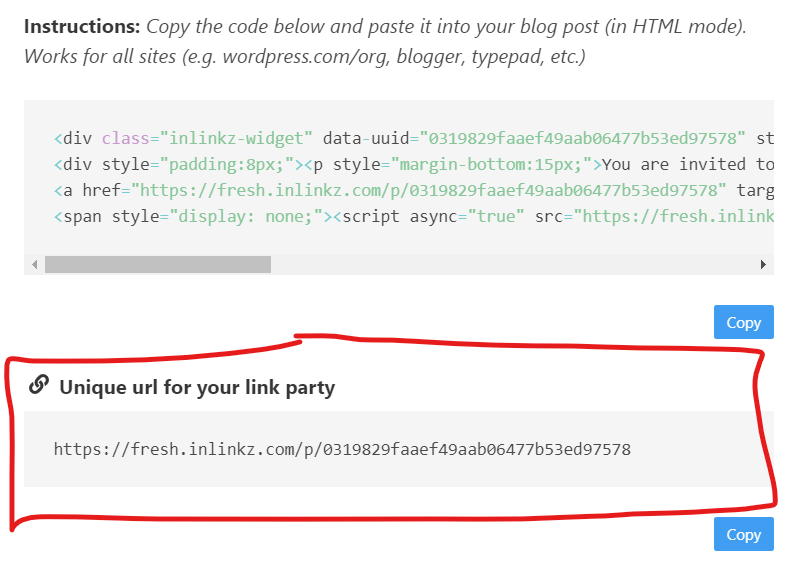 That mark means you have at least one submitted link in your party that needs moderation. 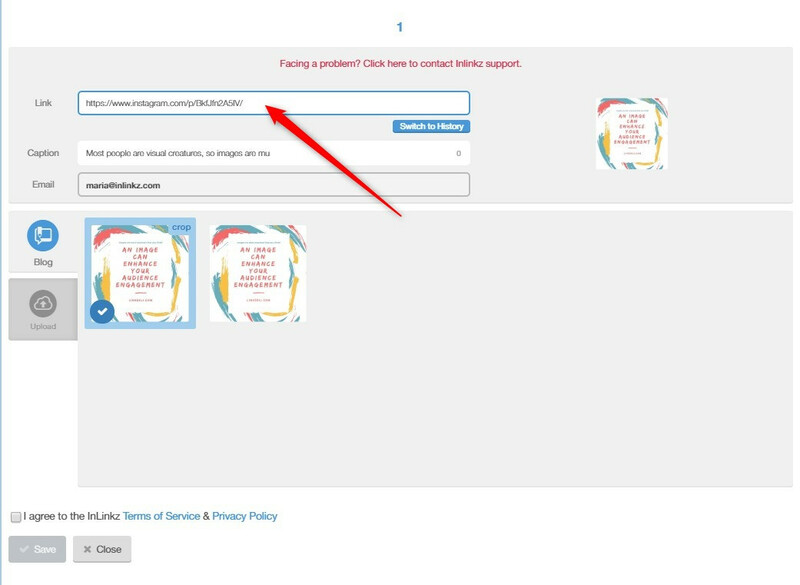 If you have enabled the require backlinks option from the +Advanced options, then, each time entrants submit links that don't comply with this ruleset, these links won't be displayed in the collection, until you moderate them. 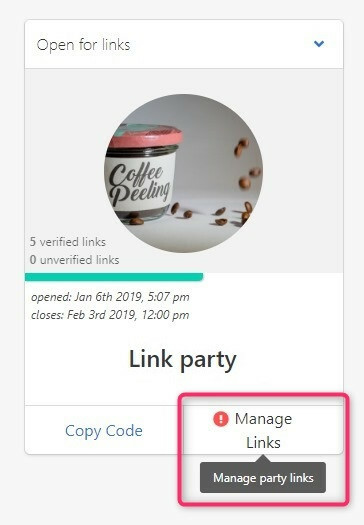 Once you approve a link, it will be displayed normally in your party. Though, if you reject it, it will be permanently deleted from your collection.